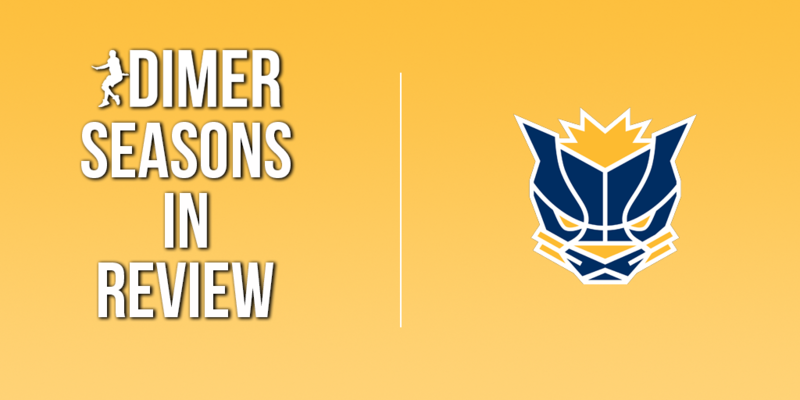 We continue our “Seasons in Review” series with a look at Pacers Gaming, who showed promise but took too long to get in gear to start the season. Check out the latest installment of this series, where Josiah Cohen took a close look at Jazz Gaming. Offseason transactions: Acquired Lets Get It Ramo from Pistons GT in exchange for the 4th overall pick in the entry draft. The Good: Pacers Gaming showed flashes of their potential by nearly overcoming a 0-4 start to make a run at the playoffs before collapsing in the final third of the season. WoLF 74 showed his versatility by dominating at a few positions but finally settled at point guard and was a pretty damn good one at that. When it comes to X’s and O’s, Cody Parrent is unmatched (overheard from a league player at The Ticket regarding the Pacers: “Their off-ball screens are something serious.”). Parrent drafted for defense and it showed. WoLF’s abilities as a lockdown defender need no explanation, Swizurk is the perfect 3&D shooting guard and TuckerLocksUp proved to be one of the best defensive centers in the league. The team wasn’t one-dimensional, though. They were the only squad all season to eclipse the 100-point mark in regulation in a 102-68 dismantling of CLTX Gaming in week 10. This team was good. The Bad: So after all that praise and seeing that the Pacers went 5-9, what happened? The first answer is that it took too long for this team to figure out its identity. WoLF showed out on the Shot-creating Slasher during The Tipoff and led the Pacers to the knockout rounds, but the team abandoned that look once the regular season started and suffered for it. Like I mentioned before, 0-4 to start the season. Not good. And that dismantling of the CLTX? It signaled the beginning of the end. With their season on the line in the final week, they bowed out to the lowly Warriors and Kings to go along with a blowout loss to Blazer5 Gaming. It’s fair to say this team performed worse than they probably should have. The Good: They now have some guy called Lets Get It Ramo. Not sure what he’s all abo—checks notes Oh. Oh my. Wait, you mean the Pacers have probably the best defender in the game, one of the best shooters in the game and then traded a pick for one of the best two-way big men in the game? Along with one of the best coaches in the league? Oh goodness. This team is going to be really damn good, isn’t it? If this team is a title contender, will they gel in time to actually win it? Okay, enough fawning over this roster. Adding an MVP finalist is cool and all, but acquiring a star player doesn’t always mean immediate success (see: 2010-11 Miami Heat). It’s tougher than it looks to integrate a guy who should be dominating touches and getting a lion’s share of the offense. And it may be important to note that Ramo doesn’t play on the same Pro-Am team and won’t be building chemistry with his new teammates—unlike, say, Wizards DG, who recently acquired a pretty good big man of their own, one who not only plays on the same Pro-Am team as Boo Painter, but is also already living with the team in the offseason. I’m not saying this will be a huge issue, but it is absolutely something to keep an eye on. I wouldn’t be shocked if the Pacers come out of the gate with a mediocre record and looking like a team unworthy of the inevitable hype to be heaped upon them. But, as I’ve always said, no matter what your record is and no matter how you played during the regular season, as long as you make the playoffs you have a shot at the title. Knicks Gaming should be enough proof of that. And I wouldn’t want to face Pacers Gaming in the playoffs no matter what.